Communities covered by the Metro Mayors Coalition have collectively added 110,000 residents and 148,000 new jobs since 2010, but have permitted only 32,500 new housing units. Greater Boston is rapidly becoming a victim of its own prosperity. The nearly constant traffic snarls are the most obvious example, but just as damaging to the area’s potential is a housing squeeze that means higher prices, higher rents, and the displacement of longtime residents. Being economically competitive means being able to house a growing workforce — all segments of that workforce. That will require not simply an investment of public and private funds but a clearing away of the thicket of regulations that stand in the way of creating innovative and affordable housing. 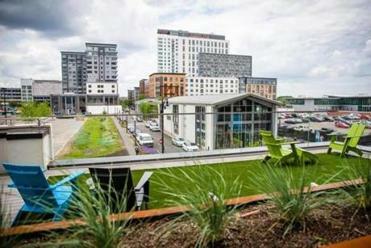 Now 15 Metropolitan Boston mayors — including Boston Mayor Marty Walsh and Somerville Mayor Joseph Curtatone — are uniting in an ambitious effort announced Tuesday to do just that — aiming to create 185,000 new housing units by 2030. The communities covered by the Metro Mayors Coalition have collectively added 110,000 residents and 148,000 new jobs since 2010 but have permitted only 32,500 new housing units. It’s no wonder that housing prices are soaring. According to the Warren Group, the median home sale price rose 6.4 percent through August of this year and the median condo sale was up 10.1 percent. Coalition members, which also include Arlington, Brookline, Cambridge, Newton, Quincy, and Winthrop (home to House Speaker Robert DeLeo), estimate that between 2015 and 2030 their communities will add 235,000 new jobs. Yes, that’s great news. But it’s not so great if those new workers have to find housing in Derry, N.H. — with all due respect to Derry. And it’s not so great if the demand of those who want to live near their jobs continues to send rents and sale prices through the stratosphere. So, what to do? Well, the mayors have agreed on a number of broad-based goals, such as preserving affordable units, minimizing tear-downs, encouraging a range of housing options and sizes, and offering open spaces as part of a “holistic” community approach. Toward that goal, they list no fewer than 150 possible “strategies” — after all, what’s right for Chelsea is likely different than what works for Braintree. Mayors of 15 cities and towns in the core of Greater Boston agreed Tuesday to sharply accelerate the pace of home construction in a bid to help tackle the region’s housing crisis. 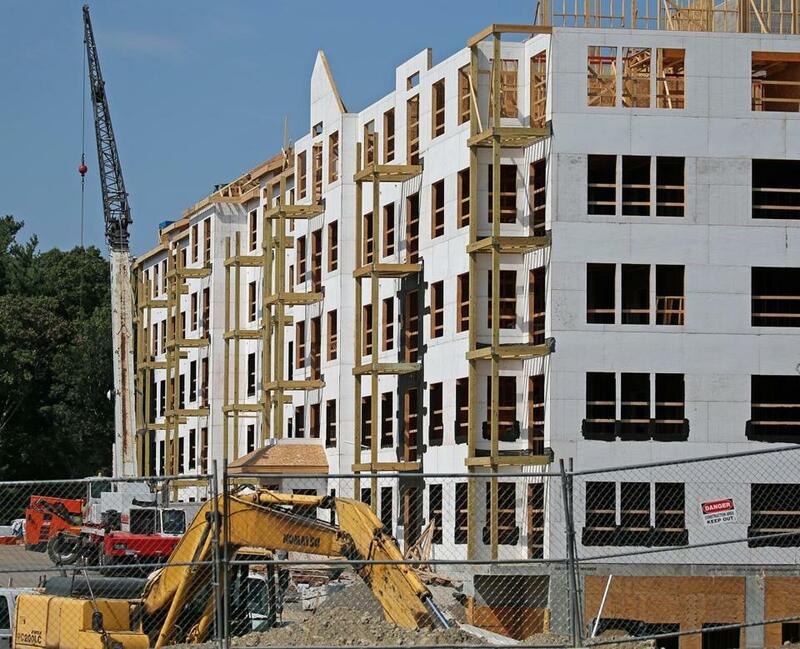 This year statewide affordable housing efforts did get a boost in a Baker administration bill that will provide $57 million to subsidize 19 separate multi-family rental projects and another $33.5 million in federal and state housing tax credits for similar projects. What would also help is the long-stalled zoning reform bill on Beacon Hill that would clear away obstacles to housing growth, especially in tony suburbs where the terrifying prospect of new construction gives NIMBYs the vapors. Governor Charlie Baker’s proposed a Housing Choices bill that never even made it to the House floor for a vote before formal legislative sessions ended July 31. In terms of its financial commitment, Baker’s bill was modest in the extreme — a mere $10 million in incentives, grant funding, and technical assistance for communities statewide. But it did lower the threshold for local zoning changes from two-thirds to a simple majority — something deemed key to speeding up multi-family housing construction and accessory dwelling units (those “in-law” apartments) and reducing parking requirements and lot sizes. The Baker proposal should have been the basis for a more comprehensive bill, but instead the Legislature did nothing. What the coalition mayors are doing is basically signing on to the regulatory framework set out in the Baker proposal to the extent they can — but without the incentive grants and without the change in the zoning threshold. Hopefully, where Boston and other forward-leaning municipalities have led, Beacon Hill will soon follow.